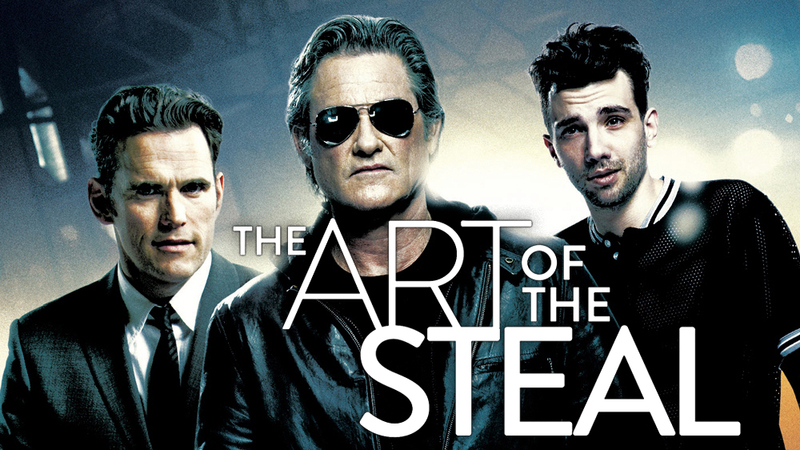 I found The Art of the Steal surfing around Amazon Prime and really didn’t expect much. Since it came out in 2014 and I had never heard of it I assumed it was direct-to-video or some low budget flop. What intrigued me was that it starred Kurt Russell and he has been a dependable go-to for film since his early days. One of the cool features of Amazon Prime (at least on the Roku) is that when you turn the TV on after pausing a show on Prime and turning it off, it immediately starts where you left off. A couple days later, I had completely forgotten that I even started the film and flicked on the set while unpacking from my latest trip. It started and I watched as I unpacked. By the time I had everything where it belonged, I was into the movie. It was quite clever and featured a great cast. Jay Baruchel did an exceptional job. This is a guy I’ve seen in several things but had no clue who he was. It was good to see Matt Dillon as well. Apparently, The Art of the Steal opened in very limited release and grossed about $39,000 on opening and only $64,000 total. As usual, the numbers don’t tell the story as it is a far better film than many I have seen over the past couple years.